In 2017, the BCM at ULM began the long process of constructing a new building to replace the original built in the early 1970s. Alumni, friends and ministry partners gathered in March of last year to break ground for the new construction. This spring, the building has taken form and is slated for completion this summer. As exterior construction nears completion, crews have been hard at work making the interior of the building a warm and welcoming environment for college and community ministry. This loft provides a cozy and quiet area in the building where students can meet for small groups and study. Alumni and ministry partners supported the funding of the building construction by purchasing commemorative bricks that will line the front walkway to the new building. 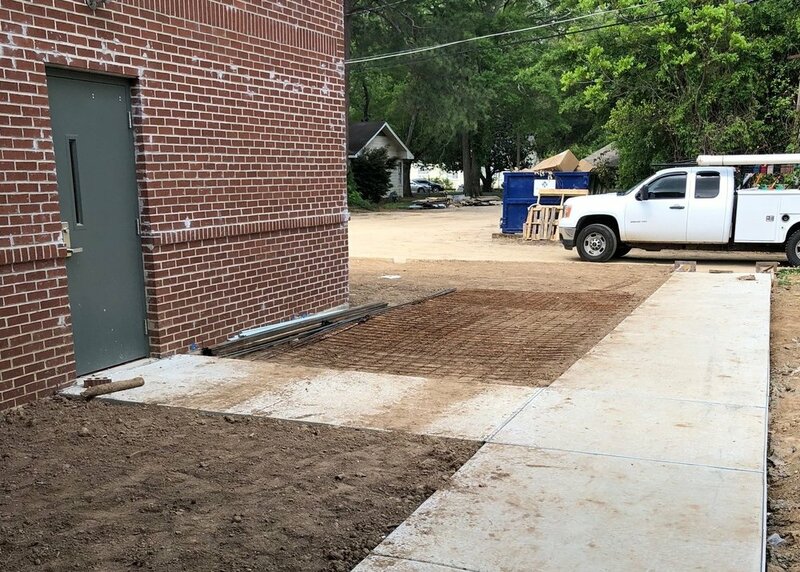 This walkway will welcome generations of future Warhawks and serve as a reminder of the Lord’s provision and the investment of the Baptist community in the difference makers of tomorrow. The worship center has been outfitted with sound and video systems that will allow multi-function use of the space. 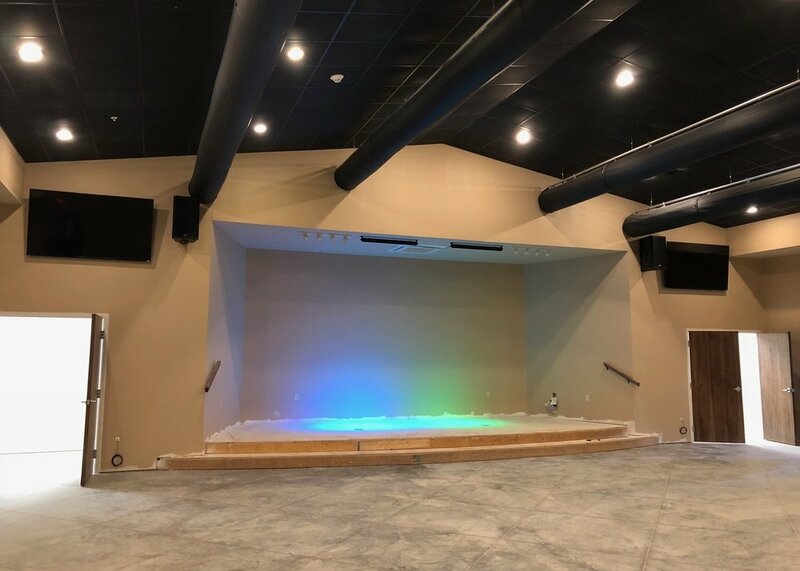 This space will be used weekly for Haven, the BCM’s student-led worship service, as well as for seminars and training events for fellow community and ministry organizations. 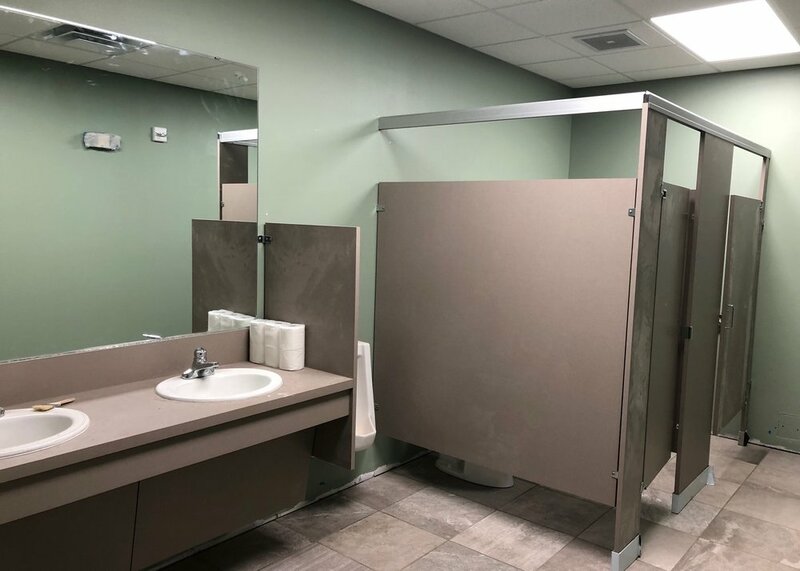 The restrooms, necessary but usually under-appreciated, have been completed and all areas are handicap accessible. Sidewalks have been installed around the perimeter of the building for ease of access. The side house, which many alumni may recall served as student housing, has been fully demolished. New apartments that will replace the side house are currently under construction. Students from the BCM pitched in over spring break to make progress on these apartments that will house students and provide revenue to support continued ministry.